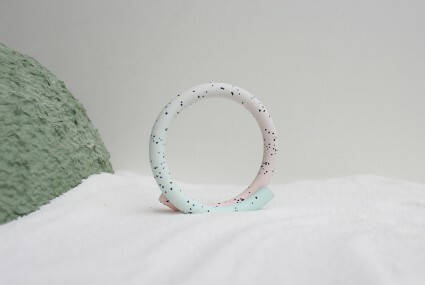 Wiggles and terrazzo inspired patterns = fun for your ears. 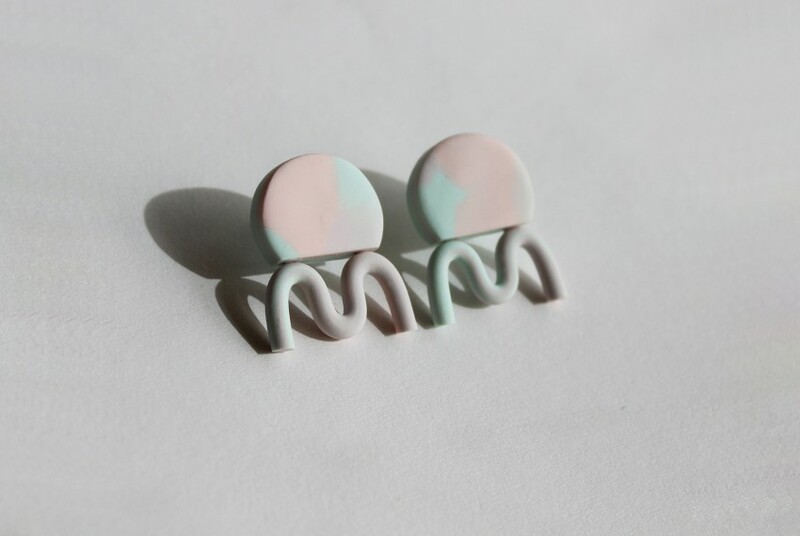 Made from polymer clay these earrings are lightweight and easy to wear. 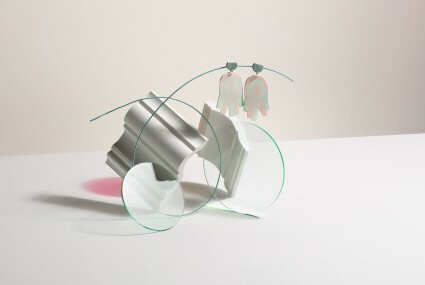 Part of Kate Trouw's Loop collection. Loop is inspired by Kate's move from inner-city London to a coastal village in Fife, Scotland. 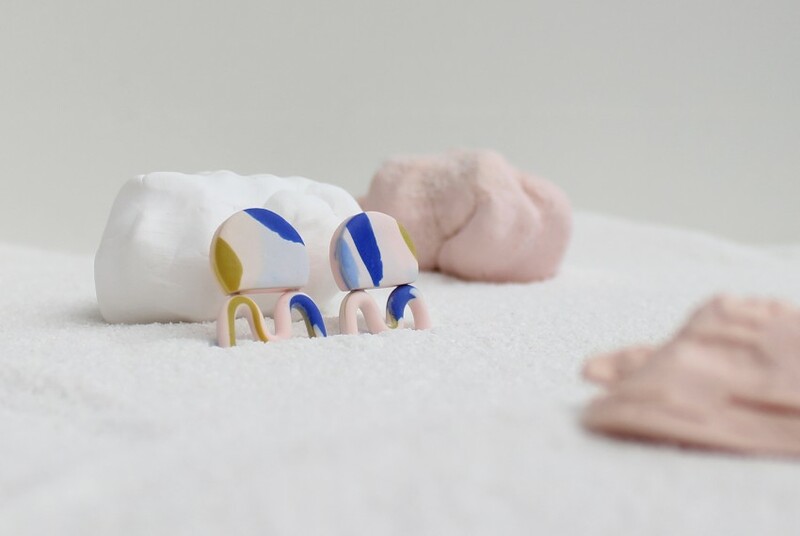 The forms and colours are influenced by the sea, sky and the items washed up on the beach which reflect the industrial heritage of the Firth of Forth; shards of pottery, swirling patterns of black sand, rusted metal and worn concrete pebbles. Polymer clay is a non-toxic material, made primarily of plastic resin. It does bend slightly but will crack if put under excess pressure. It can be scratched by sharp objects so please bear this in mind when wearing this piece. 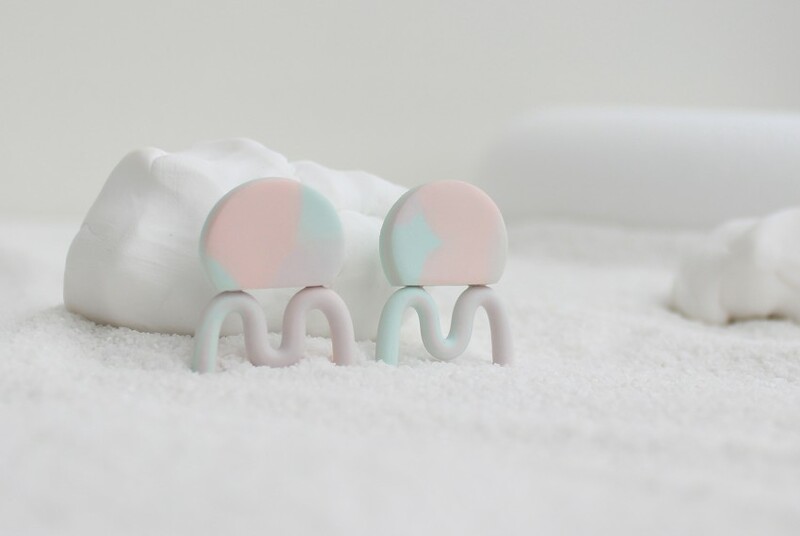 Kate Trouw recommends cleaning your polymer clay earrings with a damp cloth and a mild detergent. This item will be delivered within 2 weeks. 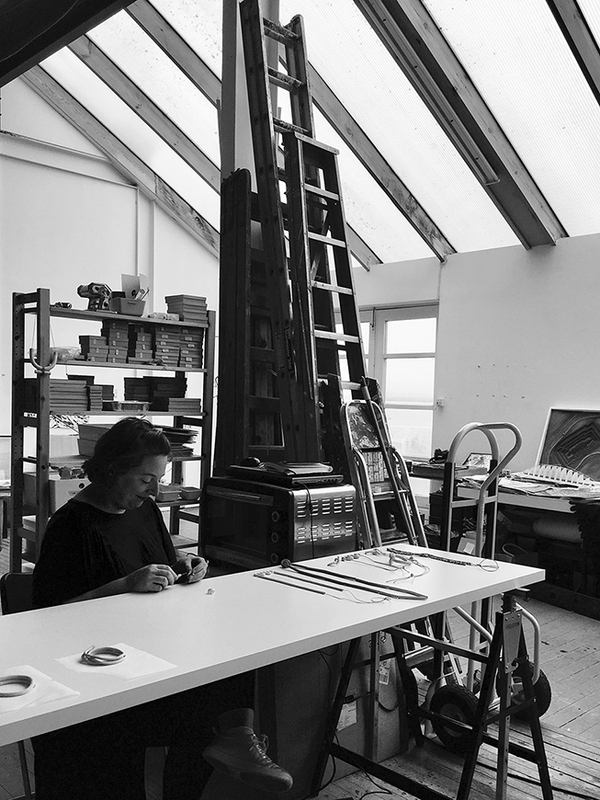 I am an architect turned jeweller living and working in Fife. I studied Architecture at ECA, graduating in 2004, and then worked as an architect in London for 10 years. In 2014 I decided to move into jewellery making as I was fed up with the length of time it takes to turn ideas into buildings and the loss of creative control that comes with working as part of such a big team. With jewellery, and particularly polymer clay, I can test an idea in a matter of hours.I use polymer clay as it's a versatile material which has interesting properties to exploit. My designs are heavily influenced by my surroundings, with my first collection reflecting the surfaces and geometry of London. 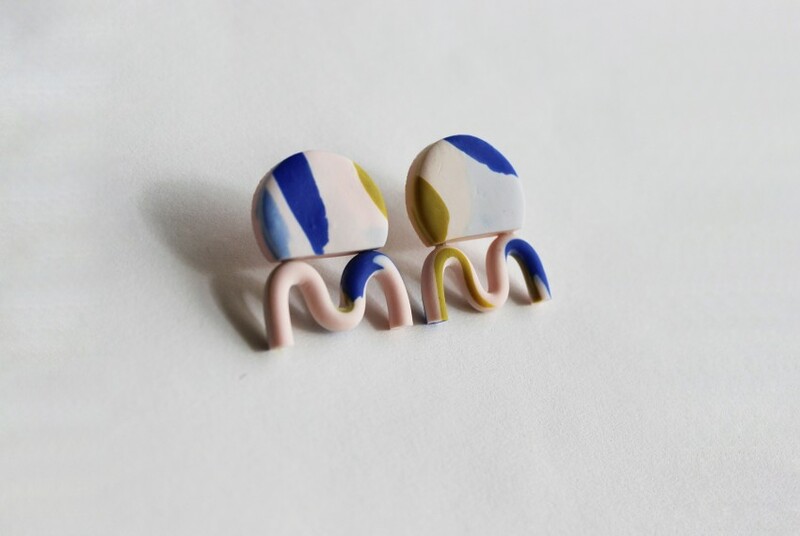 My second collection was designed after moving to my seaside studio and the colours and shapes of the coast have made their way into the designs. 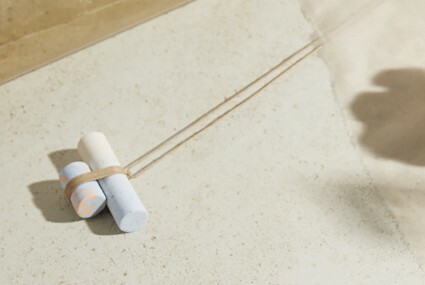 Stockists include Tate Modern and the V&A. 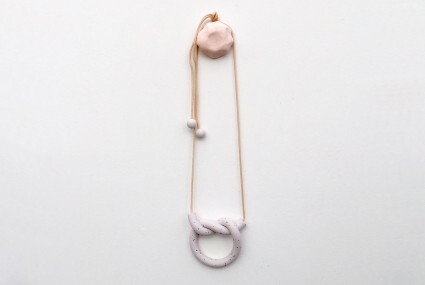 My aim is to create elegant yet playful statement pieces which can be worn every day.